After months and months of training and preparing I was ready! I was to fly out Tuesday early early morning. I received a call from Marilyn at 5 am Monday morning that she was in extreme pain and had called a ambulance. I went for my morning run I was so worried about her. When I got home there was a text that she had torn a ligament and was not going to T.O. I was in complete shock I did not believe she tore something during her taper. The news went from Bad to worse she was being hospitalized for a staph infection check out her blog for the crazy details of what she has been through over the past few weeks. Not long after her texts I received a email from the race director that I would be taking Marilyn’s place and was now running for Team Canada with Josianne, Eric Gillis, and Reid Coolsaet. I was still in shock of what was going on with Marilyn. We had trained together during the summer and skyped each other almost every night to talk about our training and kept each other motivated when we were feeling exhausted. We both had been looking forward to this race so much and I just could not believe what was happening! I was honored to be chosen to take Marilyn’s spot however I was in shock with all the news. I was going to Toronto to run for both of us! I arrived in T.O. after a week of resting/taper at my Mom’s house in Meaford. That is the only thing to do in Meaford is rest and relax! At 4 pm I made my way to the technical meeting and walked into a room full of amazing athletes from all over the world. I sat down with the British team who seemed to be having the most fun. Cliff came in and made it VERY clear that if we were not on the bus by 5:50 am the next morning we would not be racing. I think he repeated that 12 times as athletes were still walking in very late to the 4 pm meeting. After the meeting I met my Dad for a 5 pm dinner (plain pasta and gatorade Yum!) Drove the last half of the course, by this time I was getting even more nervous and just wanted to get to my room and try to sleep. I did not sleep at all I think I saw every hour on the bedside clock. 4:15 am wake up call After a hot shower, quinoa, banana, rice milk I was off to the bus making sure I was on time. The race coordinators took such great care of all the elite’s it was a great experience. 20 km still feeling Good! The weather conditions were perfect cool with very little wind and I was surprisingly relaxed. The first 10 km I was holding myself back to stay at 3:55 km I felt so relaxed. I had settled into a group and we were pulling each other along. I had decided to put 7 bottles on course 5km,11km,15km,21km,25km,32km,38km. At 15km I was running with Josianne however I was doing all the leading I had asked her a few times to switch with me. A learning experience for me not to think just run. I started to feel a bit drained by 22km from thinking to much about her on my heels. I had amazing support from Kate and Laura from VFAC who gave me a boost from their cheering. It helps so much to hear a familiar voice even if I cant acknowledge. A BIG THANK YOU to both of them!! Josianne had fallen back at 29km so at this point I was running on my own and struggling to keep my pace. 25 km – 35 km was so tough for me I really worked hard to stay relaxed and and trust that I would feel better in a few km’s. That is exactly what happened at 37 km I got another charge of energy and got back on pace. At 40 km I was about to pass Gilles Bourgeois and another man. Gilles decided to go with me and we ended up running strong to the finish. Gilles is a master’s runner from Quebec Thanks Gilles! I was looking for a faster time this year I was 16 seconds off my PB from Victoria last year. I know I can run much faster in the marathon. I learned so much from this race and am really proud of my performance. 2:47:43 1st Canadian,4th in age group,15th overall Female. Amazing Results from Reid Coolsaet 2:11:22 Fastest time ever by a Canadian on Canadian soil! and Eric Gillis 2:12:07 a 2 min PB helped team Canada take the win! Way to go Guys!! Team Canada Won, Japan second, and England Third! My Mom and Hans first time they have seen me race! Emotional Day! Both the Men and Women set records for fastest times on Canadian Soil! Post Race I went to some fabulous restaurants in T.O, Moksha Yoga classes and Hammam I spent the week traveling and relaxing! A nice end to the summer! A big Thank You to my coach Jon Brown who kept me calm and relaxed over the last few months of big training and especially the last few weeks leading up to race! A Thank You to Matt Merko from Saucony for all your support and nice words the day before the race! Alan Brooks and Clif Cunningham for putting on such a amazing race and taking such good care of me over the weekend! Sending Love and Healing Energy to Marilyn in Victoria! My plans for the next few months are to recover and get back into racing some shorter distances 5k-half Marathon. I am planning on racing the James Cunningham Seawall race Oct 30th. It is a Saucony race and also a good workout! 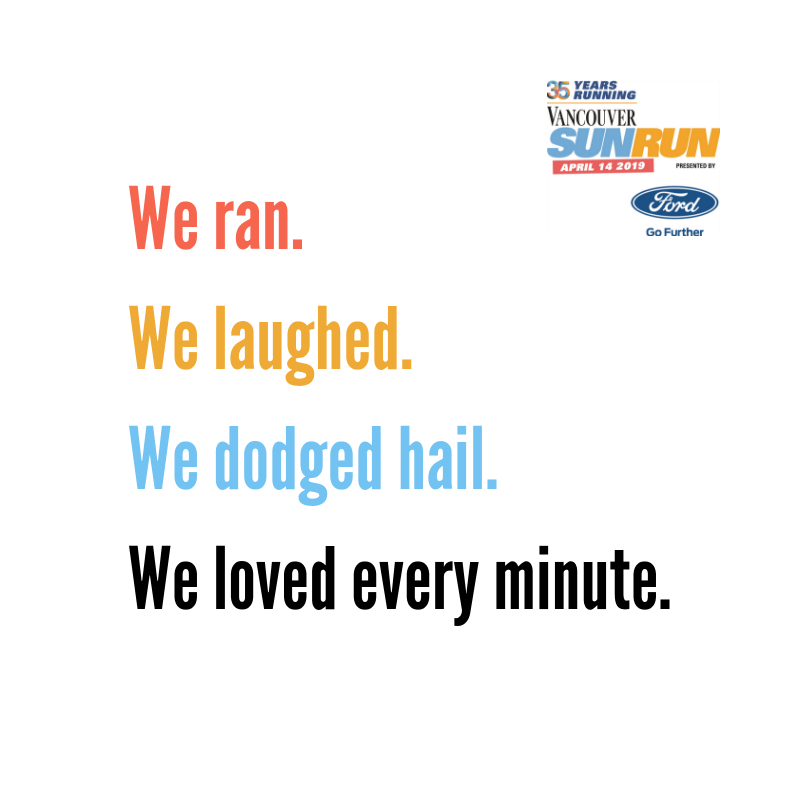 I am looking forward to hearing all the results from Victoria Marathon this weekend! GO VFAC!